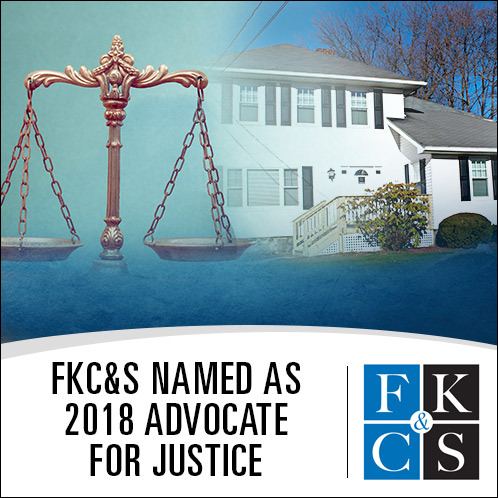 Feldman, Kleidman, Coffey & Sappe LLP (FKC&S), a Fishkill, New York-based law firm with clients throughout the Hudson Valley and Capital District, has been recognized by Legal Services of the Hudson Valley’s 2018 Dutchess Partners in Justice awards as Advocate for Justice. 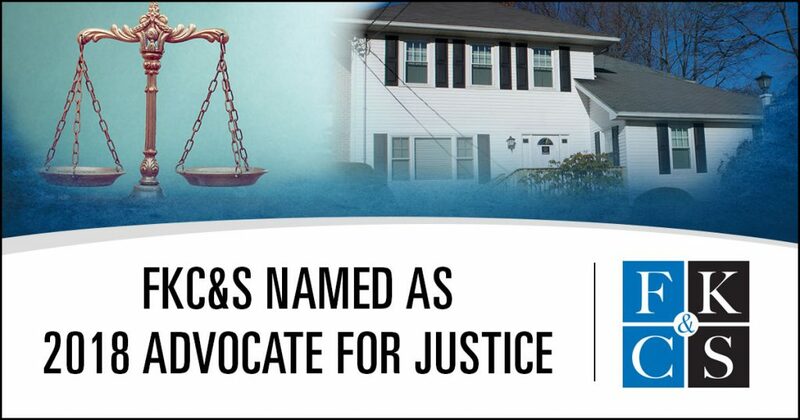 The designation recognizes FKC&S’s excellence in serving its personal injury and medical malpractice clients, plus appellate services, along with the law firm’s long-standing dedication to social responsibility and community support. In 2016, FKC&S celebrated its 30th anniversary with its “30 Acts of Kindness” year-long philanthropic initiative, where the practice donated funds to 30 area non-profits, including those related to athletics, children and families, animals, health and wellness, special needs and other worthy causes. FKC&S will be honored, along with Elizabeth Howe Bradley, Ph.D., president of Vassar College, who was named as Champion of Justice, on September 20 at Locust Grove in Poughkeepsie, during Legal Services of the Hudson Valley’s 5th Annual Dutchess Partners in Justice Reception, for which FKC&S was a gold sponsor. The event includes a “Giving Tree” to support Legal Services of the Hudson Valley’s work for children and families in Dutchess County. Watch as Crystal Run Healthcare CEO Hal Teitelbaum introduces founding partner Jeff Feldman, followed by Jeff’s acceptance speech.